Come join us for a wonderful two-day event with Anita Mayer at the Jansen Art Center in Lynden. 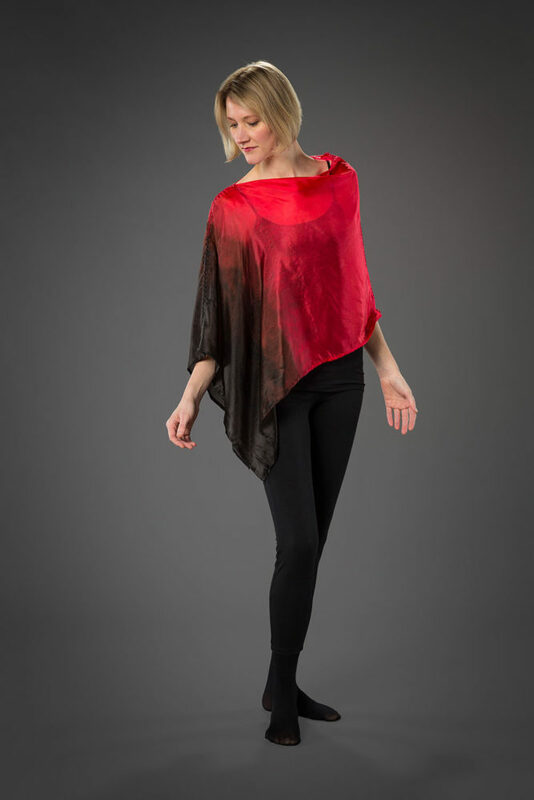 March 29 & 30, Friday and Saturday, Anita will lead a fashion show, offer a trunk show of her garments for sale, and conduct a workshop to help you create a garment for yourself. 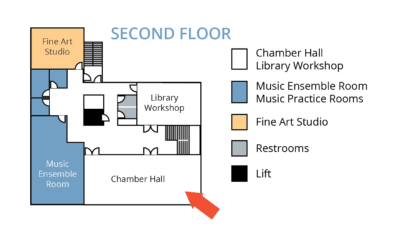 The luncheon and fashion show benefit will be held in the Jansen Art Center Chamber Hall. Garments shown will be from Anita Mayer’s collection of one-of-a-kind designs, handcrafted and often lavishly embellished by her. The format is modeled after the department store/country club events where models move through the event, pausing at tables so guests can view the details of these amazing garments while Anita provides commentary. 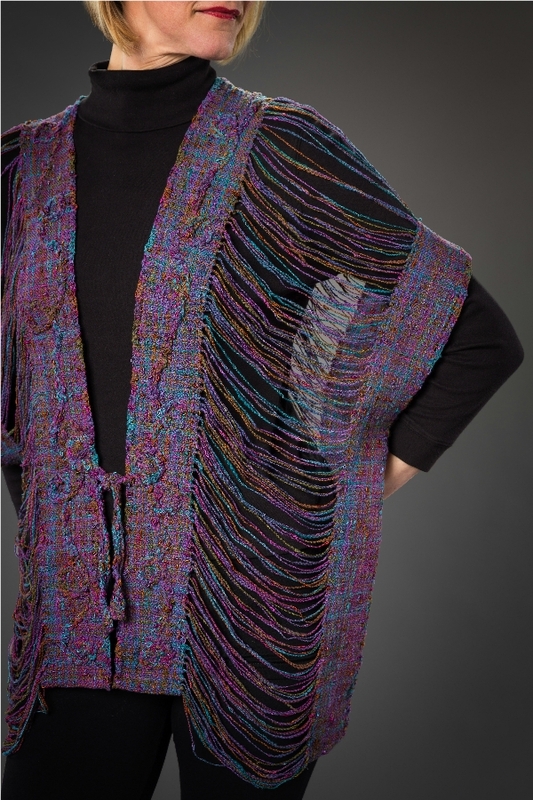 Proceeds will benefit the Jansen Art Center’s Textile Studio. 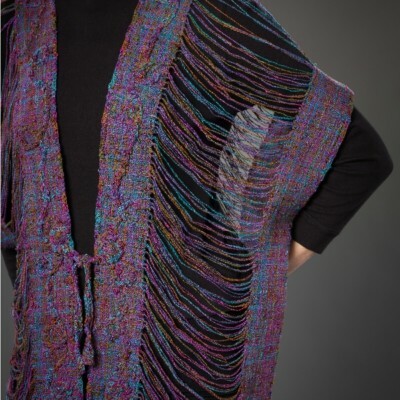 Following the luncheon, guests will be invited to the Library across the hall when garments will be offered for sale in a Trunk Show, provided by Anita and Lori L. Maul, owner of Fidalgo Artisan Yarn and Clothing in Anacortes, where Anita’s garments are carried. 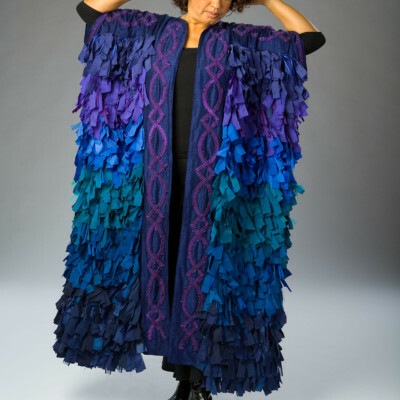 Included in this workshop will be the opportunity to try on Anita’s beautiful garments, work with her to find your style and fit and create your personalized patterns from her drafts. It is suggested you wear a one color outfit (pants and top, or jeans and top, etc) to help view the clothing being tried on. 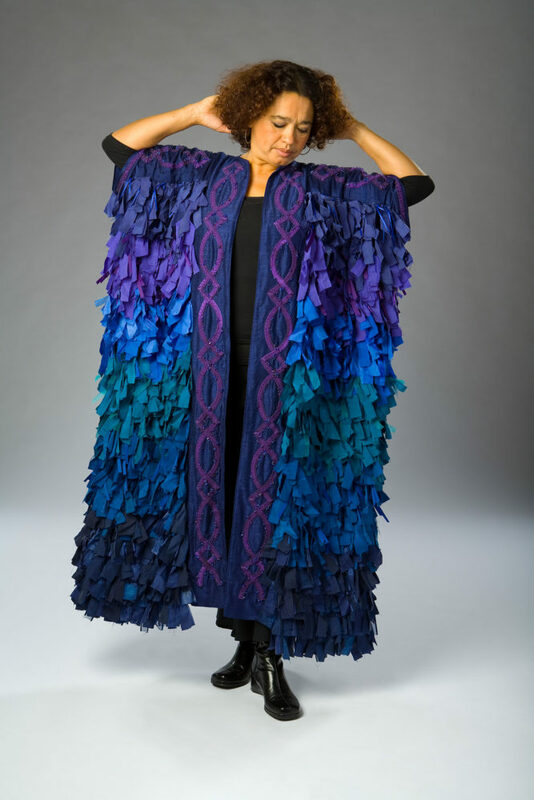 Also included will be hands-on instruction on how to join pattern pieces with embroidery and a sampler of techniques to embellish both newly created and your existing garments. Students need to bring an f or g crochet hook if they crochet, scissors for fabric, a black felt tip marker, 2″ or wider three-ring binder, 4-6 yards of paper to copy select patterns. The workshop will begin in the Dance Studio and then later move into the Library.